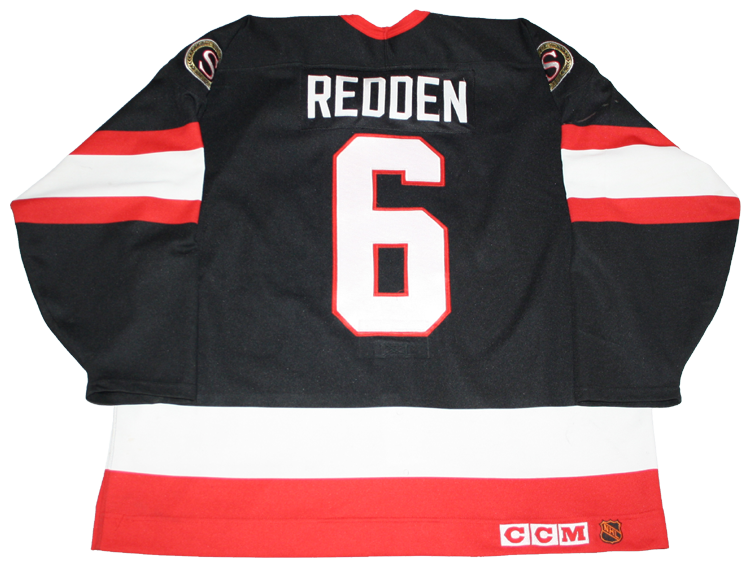 This jersey was worn by Wade Redden of the Ottawa Senators during the 1996-97 pre-season, his rookie year. 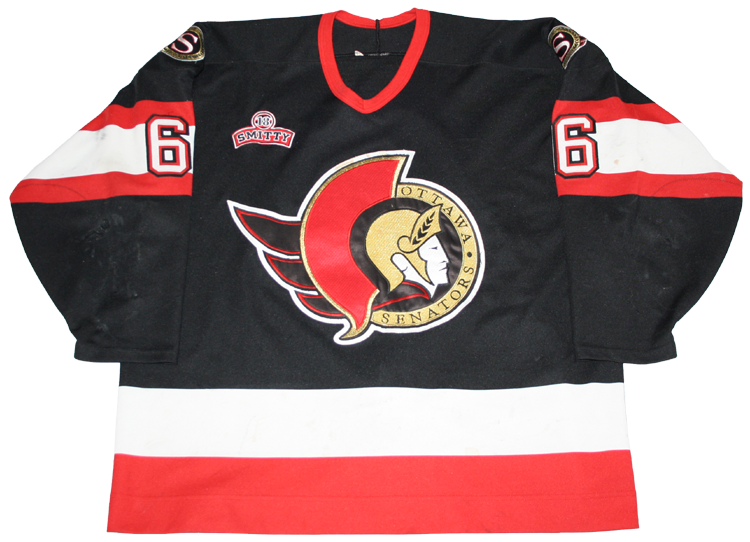 This jersey had previously been worn by Chris Dahlquist of the Ottawa Senators during the 1995-96 season. 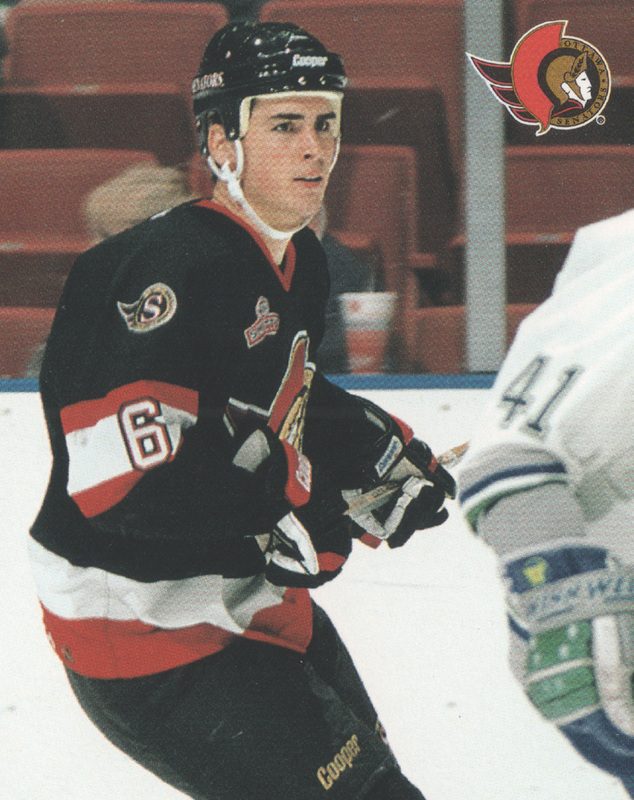 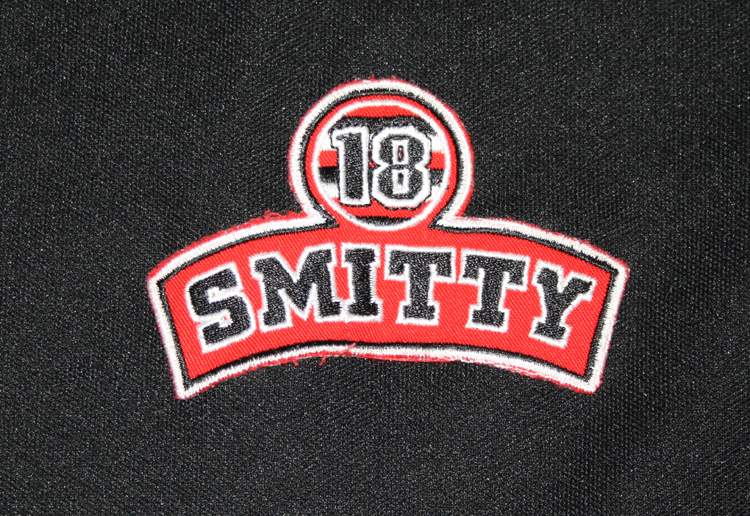 This jersey also displays the "Smitty" patch that the Senators wore during the 1995-96 season in honour of Ottawa sportscaster Brian Smith. 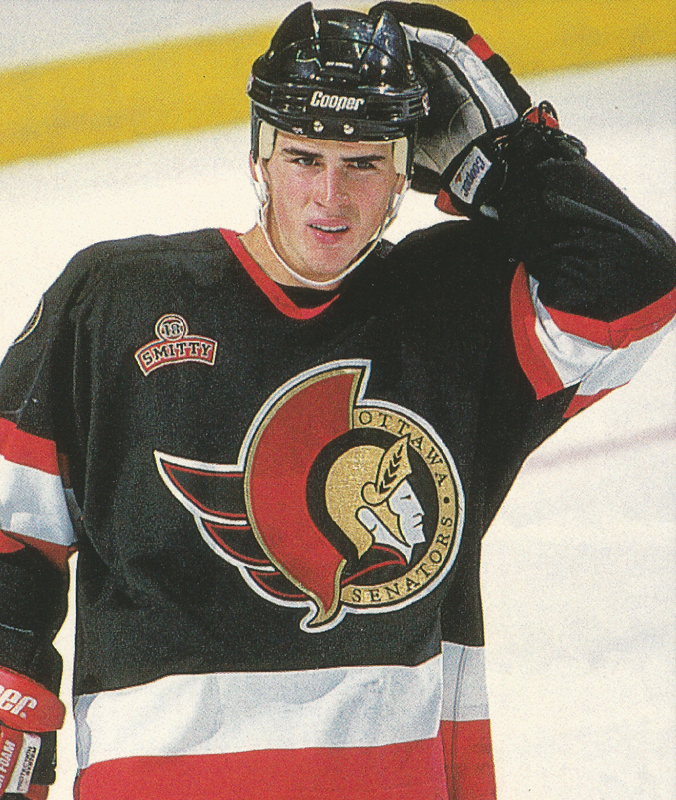 The 1995-96 season was the first season that this style of jersey was worn. 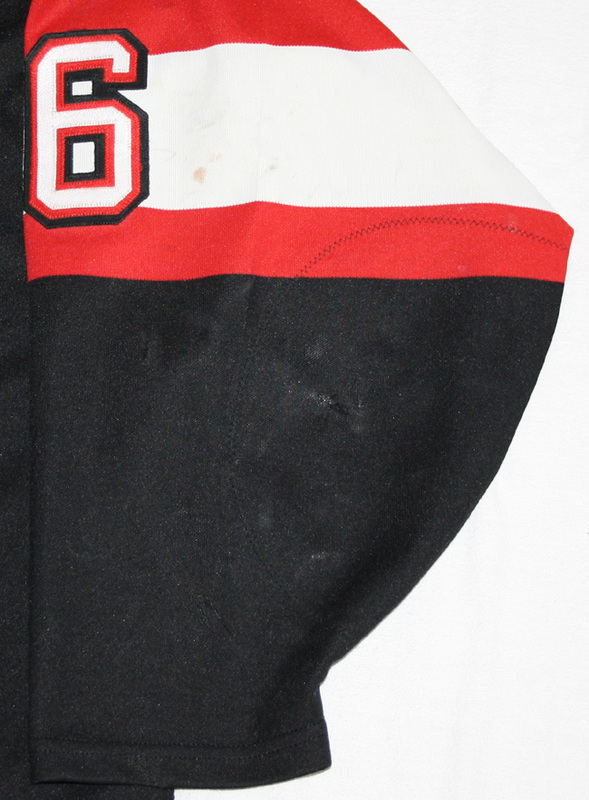 There is evidence of a nameplate change on the jersey, as well as the removal of an assistant captain's "A". 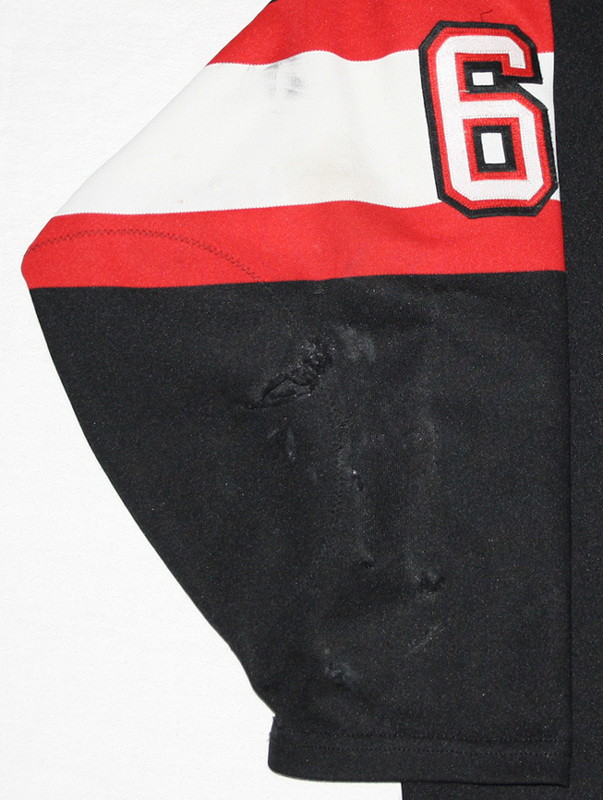 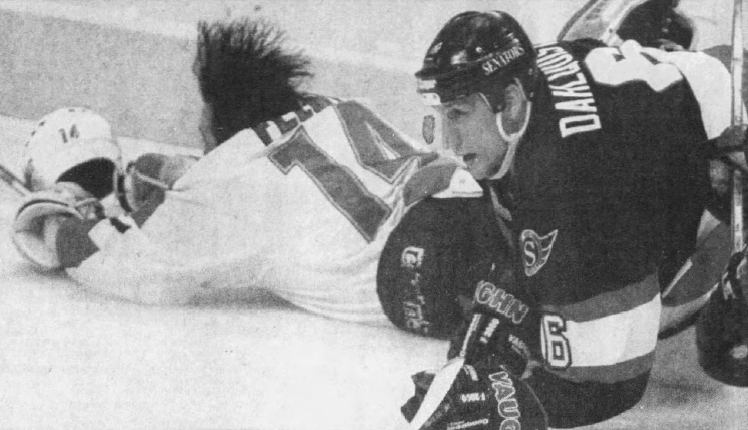 This jersey has been photomatched to a Senators vs. Hartford Whalers preseason game on September 23, 1996.